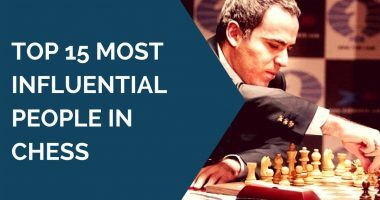 If you think chess masters don’t make mistakes in their games, you should review these 10 shortest games. Many of them ended up with a checkmate, all under 12 moves. 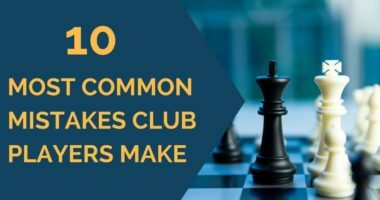 This is not a compilation of GM blunders as I presented in Top 10 Biggest Blunders Grandmasters Made at Chess, but rather a compilation of short games lost by the strong players. Here it is, for you to judge. Don’t forget to leave a comment on these games! Image in this article is from Flickr and used under the creative commons license. Karpov lost a game to Christiansen in about 10 moves to a simple yet not often seen piece fork. If white moves D5 after blacks moves Qe2? 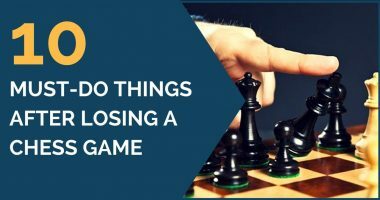 (For game 10) Does losing a minor piece for nothing really merit a forfeit at the GM level? Blunders in chess are expected !! I really like the Game 9. At 1st sight, i’d have played 10) Nh6 ??? Ng4 leads to a mate in 2, whatever the black plays. The correct move is Nd5. The black Queen would have to move then, and white Knight’s can take c7+, forking. If 6. … Qe7 7. Qb5+ c6! 8. Qxf5 Nxc3! And black is better. game 9 is so interesting! In the last game what would happen if Anand had played Qe7 after Qe2? nice to see some great stuff. [quote name=”Rahul”][quote name=”Sravan Krishnan”]Good Collection! Knight could have taken queen why it not so happened? Simple, White’s next move would have been 7. d3, threatening to capture the pinned knight with a pawn. You are welcome, Mubashir Sami! Your comments is a great motivation for me to write more! What a great motivational stuff this is! 🙂 Thank You so much for sharing it. Very funny and instructive at the same time. I liked it very much. THANK U VERY MUCH FOR SHOWING THOSE BLUNDERS! THIS JUST PROVES HOW WEAK SOME OF THESE SO CALLED MASTERS REALLY R!